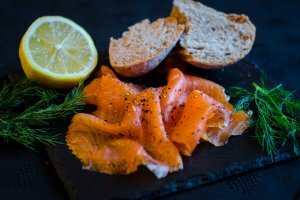 All of our smoked salmon is produced right here on our premises in Perth City Centre using superior grade Hebridean salmon and our own special GCS cure mix. 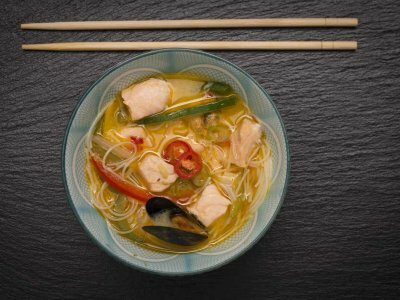 The result is a delicious, intensely flavoured fish that is both tasty and super-healthy. Try it stirred through scrambled eggs for breakfast or as a topping for a bagel at lunchtime. 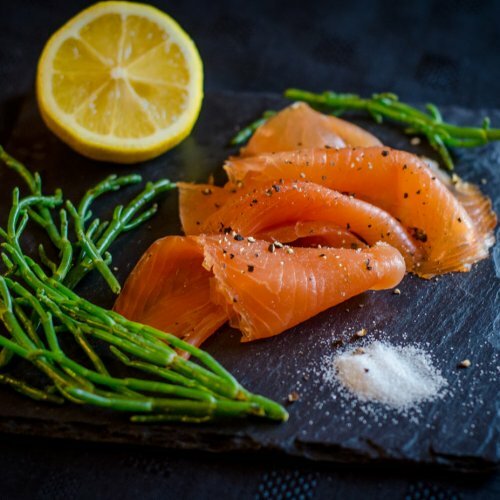 Sold in 100gms, 200gms and 500gms packs from our fishmongers and deli in Whitefriars. You can also order a whole side by calling 01738 638 454.